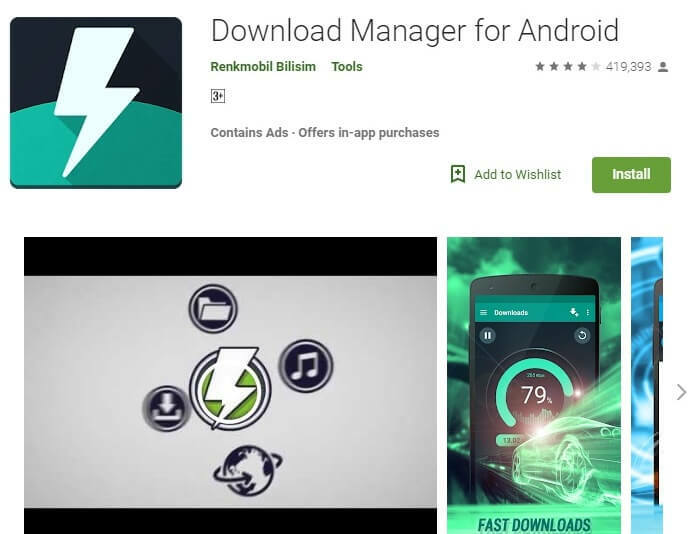 Best Android Download Manager Apps: Thanks to the great features and open-source nature, Android has now become the most preferred operating system (OS) on mobile phones or rather smartphones. Currently, more than 2 billion users all over the globe use Android-powered smartphones. This figure is likely to increase even further because of a number of key features like the availability of multiple varieties of free applications, uncluttered and easy to use user interface and cost-free software updates. 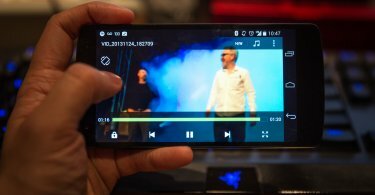 Taking of Android smartphones, one of the primary functions that we all use the phone for apart from surfing the internet is for downloading audio files, photos and sometimes even movies for watching. While most of us use the default download manager that comes preinstalled on our smartphones, it is not sufficient to download larger files as it usually lacks some important features like the ability to pause downloads, queue up more than one download and more. Apart from that it also does not offer high download speeds to download large media files in a short span of time. To solve this issue, we need to use some third-party download managers for Android. While there are many available right now, we have listed some of the best Android download manager apps for you. 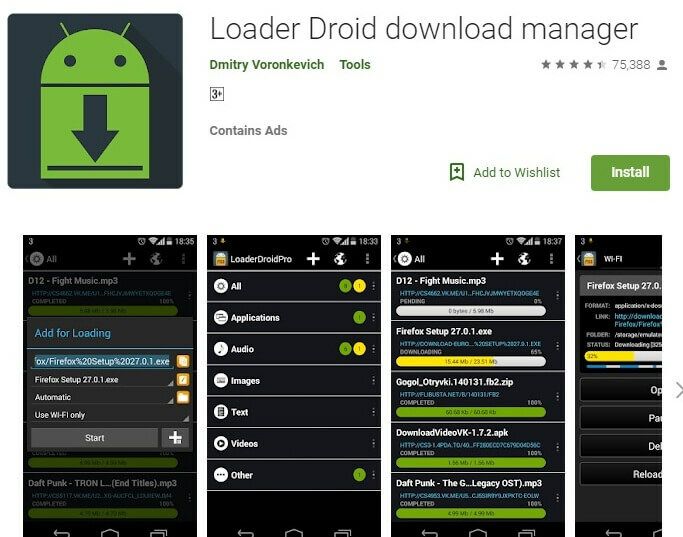 We listed the top Android download managers that come with a host of features like the ability to resume paused downloads, queue up downloads one after the other and also offer very high speeds for quick downloading of files. While these apps will give you a great downloading experience, if you want to have an amazing browsing experience too, you can check out the best browsers for Android devices. 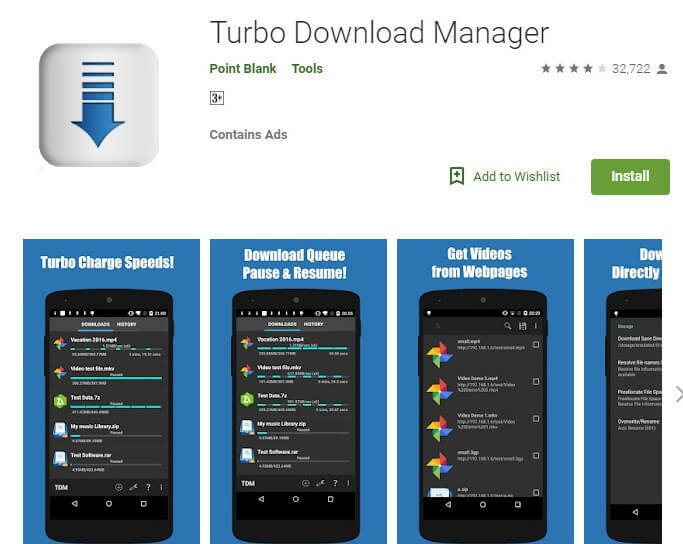 Turbo Download Manager is one of the fastest download managers for Android. This app works seamlessly with some of the most popular Android browsers like Chrome, Firefox, and Opera. It has the ability to boost up download speeds by enabling multi-threading and can also connect to multiple servers at the same time. The app also allows you to resume incomplete downloads and also pause them if necessary. The app, however, does not work on devices running on Android 4.0.2 and below. Advanced Download Manager is a very powerful tool and is one of the best Android download managers. It has the ability to download three files simultaneously on your Android device. The app is also unique because it can detect downloadable links automatically from your browser and also provide superior download speeds using up to 9 threads. 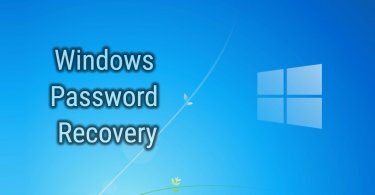 Apart from these, it also comes with a built-in browser of its own that boasts many features like multiple tab support and high-speed downloads. 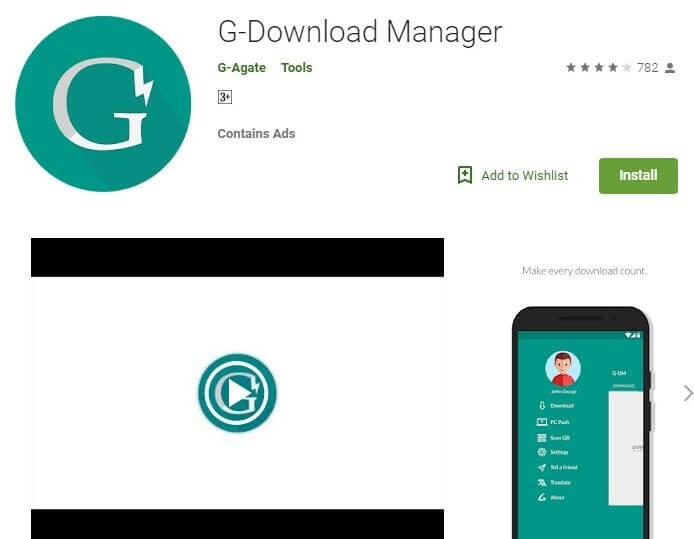 Next, on the list, we have G-Download Manager which is a fairly simple and easy to use application. With an uncluttered and clean user interface, this app offers some advanced features that can be accessed by swiping right after launching it. It features a tabbed interface and allows up to three simultaneous downloads. The app can also automatically detect downloadable links and start downloads on its own. If you are looking for an app with simple design and features, then G-Download Manager will be perfect for you. 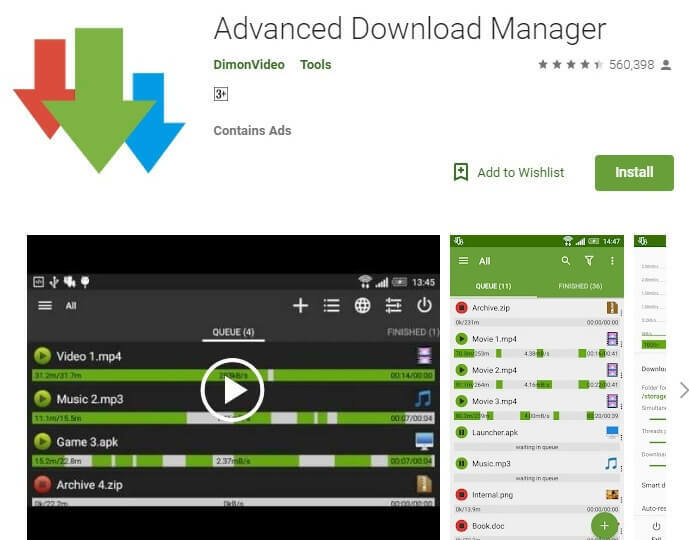 This free download manager for Android is available on the Google Play store. Another great app you can use to download large media files is called Download manager for Android. This app claims to provide up to three times faster download speeds than any other download manager app for Android. The app comes with loaded with features like an inbuilt browser, web page bookmark manager, speech recognition and the ability to pause and resume downloads whenever you want. In addition, the app can also download HTML 5 web pages and videos seamlessly. Next up, we have Loader Droid Download Manager which is an amazing app to download any kind of files on your Android device. The app supports a large variety of files types like videos, audio, images, documents and more. Loader Droid supports pause and resume function like the other download managers and enables you to pause or resume a download at any time. It also comes with an Auto sleep function that automatically stops all downloads when the battery percentage gets too low. 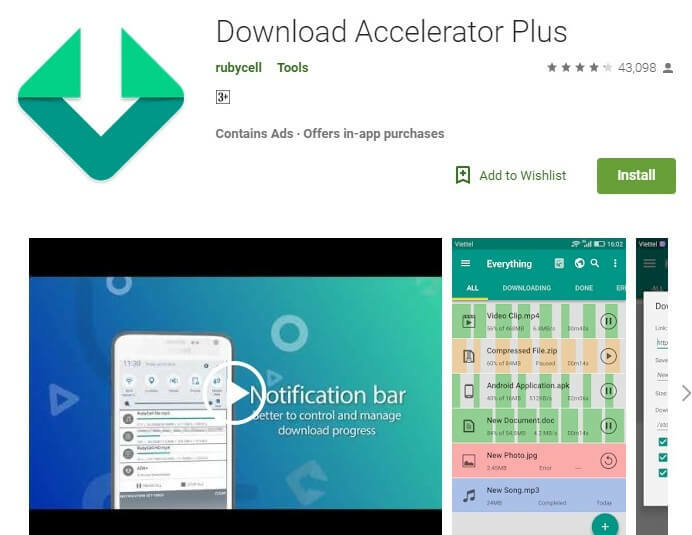 Download Accelerator Plus is one app that comes with a host of features and functionalities. It supports downloading of a variety of files formats and separates each download into three parts to boost the overall download speed. With just over 1MB in size, this app does not take up too much space and is also easy going on the resources of the smartphone. It can also pause downloads on its own on the unavailability of network and can be resumed again whenever you want. These were some of the best Android download manager apps that you can use to speed up your file downloads. While the list has been created by testing each of these applications by our panel of experts, if you face any issues with any of them, you can let us know. Also if you know of any other download manager that can find a place on this list, do let us know by using the comments section.